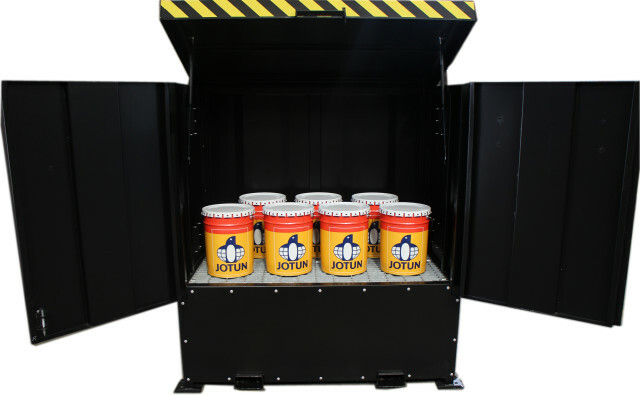 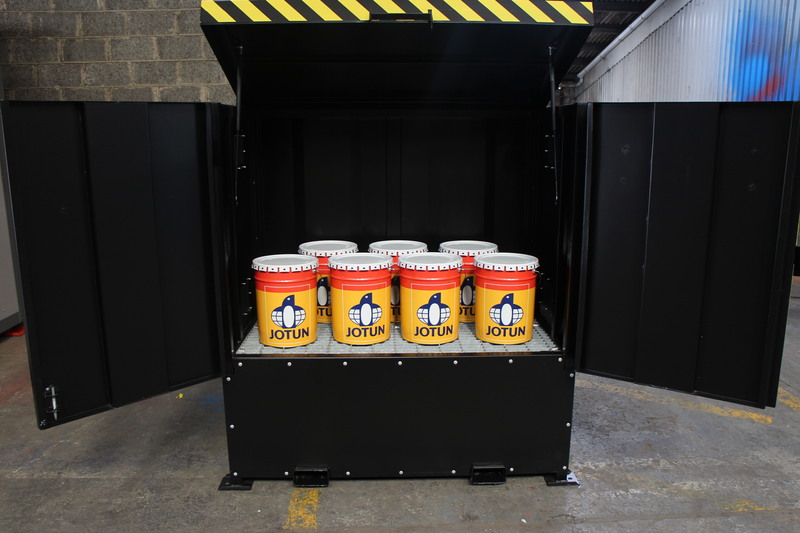 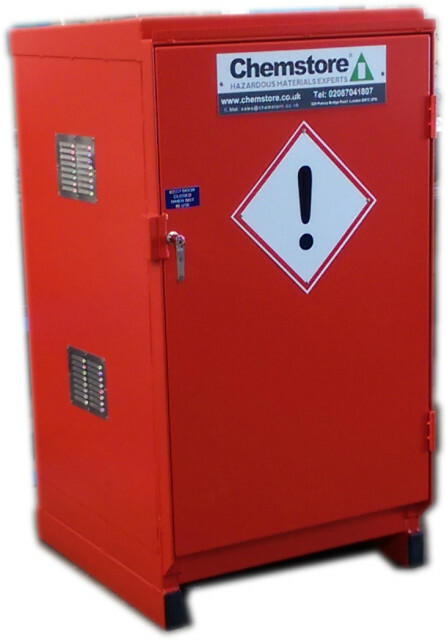 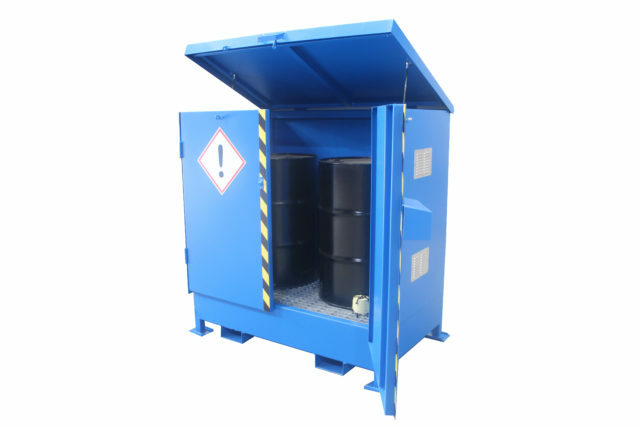 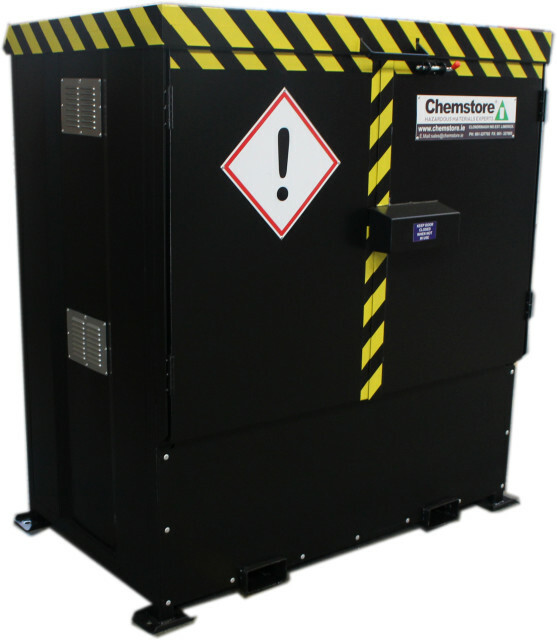 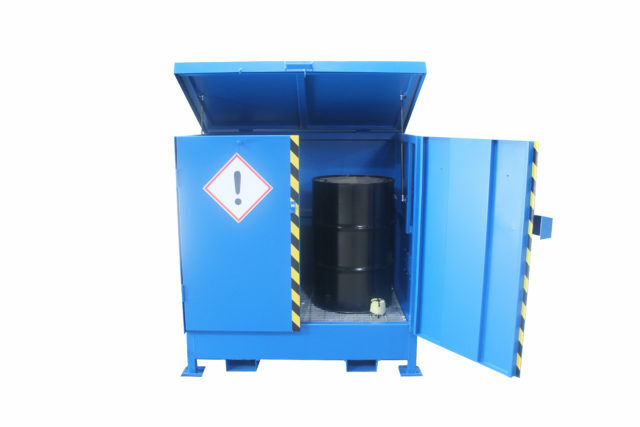 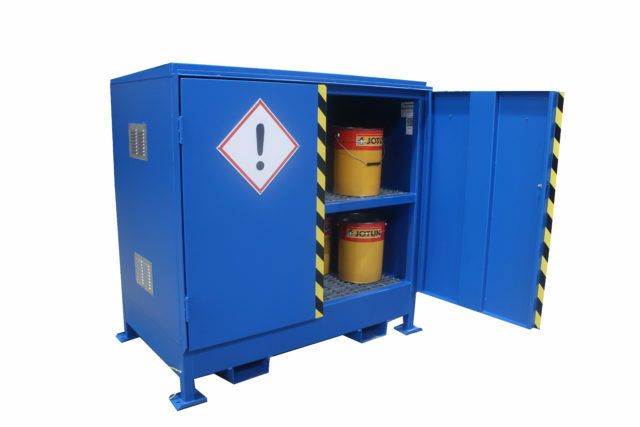 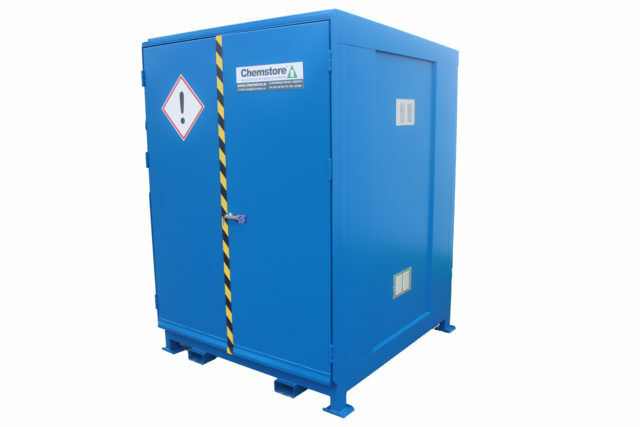 Chemstore’s bunded chemical cabinet’s are suitable for the storage of up to four 205 litre drums. 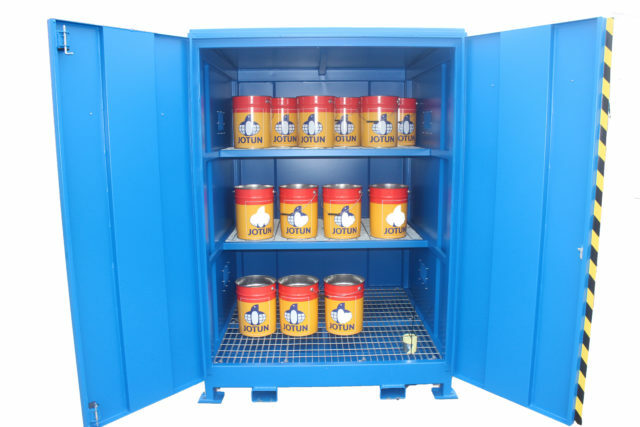 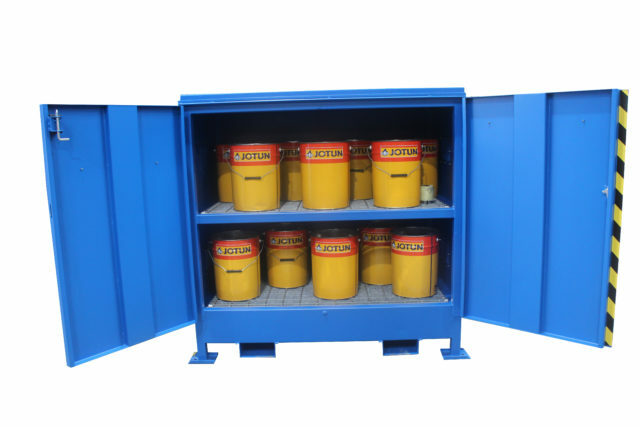 Small drum storage cabinets can be modified to allow storage of 25L drums by including a removable middle shelf. 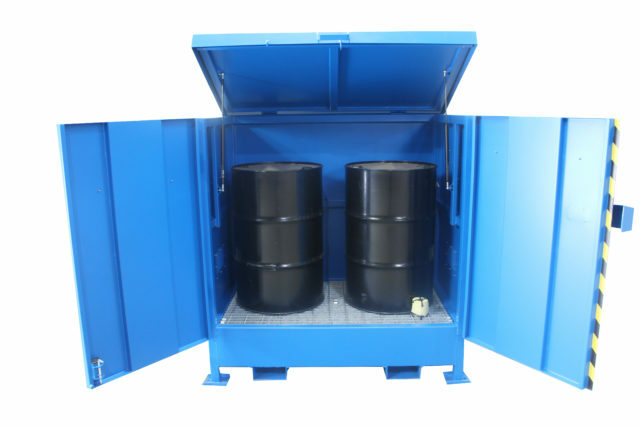 If access is required to the top of the 200L drums (for example when pouring waste into drums), a hinging top lid can be included.